We are committed to investing in the health of children today by providing the global community the most accomplished pediatric critical care medicine subspecialists. Challenges to improve child health surround us. Our trainees will learn the fundamentals of disease and disease prevention, master the skills necessary to take care of the sickest children and partner with families to build healthier daughters and sons. Our trainees will be provided a rich educational platform from which to launch, coupled with the tools necessary to devise creative solutions based on inquiry, advocacy, basic and clinical science, translational studies and healthcare policy. "We seek to understand, improve the treatment of and ultimately prevent common, devastating disorders of childhood. Our work is dedicated to providing clinical excellence, establishing and participating in innovative research and discovery and training the next generation of leaders in the field of Critical Care." The Division of Pediatric Critical Care at Feinberg School of Medicine and Ann & Robert H. Lurie Children’s Hospital of Chicago is a full-spectrum, tertiary care ICU unit, offering children in need of critical care the most effective treatments using the latest equipment in a modern facility. The Lurie Children’s PICU is one of the largest in the country, home to 40 PICU beds currently and soon to be 60 beds in total including a 14-bed Intermediate Care Unit and a six-bed Complex Care Unit. 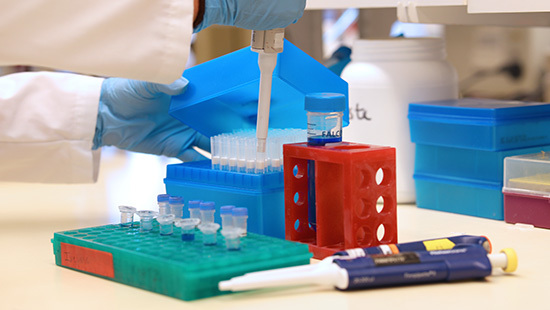 Fellow and faculty research is funded through multiple mechanisms, including the National Institutes of Health, Children's Research Center, National Palliative Care Research program, Agency for Healthcare Research and Quality and internal funding. 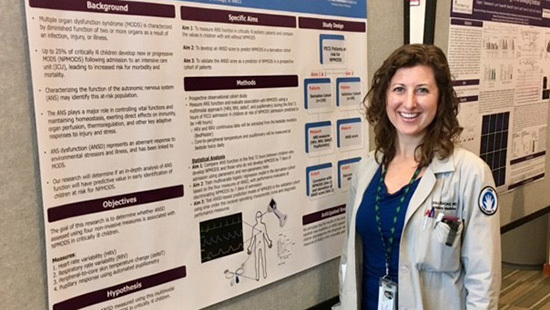 Explore our scientists' work to see the breadth of the scientific efforts we're undertaking in the Division of Critical Care Medicine. View our publications feed. 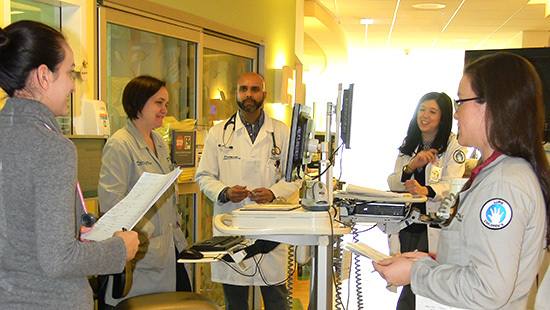 The 20 faculty members support a full-spectrum Pediatric ICU program through Lurie Children's, exposing residents and medical students to many areas of critical care, including extracorporeal membrane oxygenation, neurocritical care, multidisciplinary care, solid organ and stem cell transplant, renal replacement therapy and transitional care. Our fellows are eligible to apply for TL-1 and T-32 funding mechanisms supported by the Department of Pediatrics. Marcelo R. Malakooti, MD, runs the IGNITE PICU innovation program, which aims to find innovative ways to improve the care for and efficiency in treatment of critically ill children. IGNITE PICU has partnerships with several institutions, including MATTER, a nonprofit health tech incubator that focuses on healthcare innovation and challenges within the field. 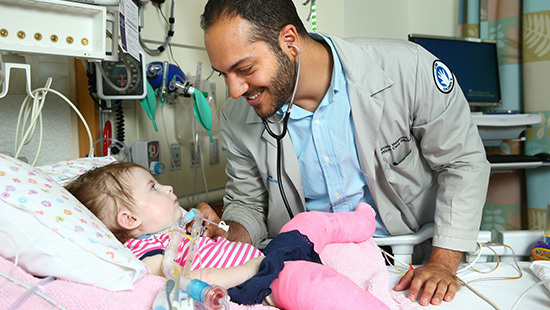 The Neurocritical Care program focuses on neurologic dysfunction in critically ill children. Our neurointensivists provide ICU-focused clinical care, and we offer a specialty outpatient clinic for ongoing care of children after they are discharged from the ICU. The neurocritical care research program includes active bench investigations into traumatic brain injury, post-traumatic epilepsy and cerebral ischemia and supports clinical trials in emerging therapies. The Pulmonary Habilitation program coordinates the care of more than 150 children at home on ventilator support. Services include the six-bed inpatient Transitional Care Unit and outpatient pulmonary and pulmonary habilitation clinics. The goal of the program is to return children to their homes and keep them as active as possible in family, school and community activities.